We all want to do more with less, especially when it comes to helping our furry friends that are waiting for their forever home. Start out 2019 by making a few changes that will allow you to make a difference and help the Humane Society of Rome. Amazon allows you to pick a charity by registering with AmazonSmile. AmazonSmile is an easy and automatic way that allows you to support your charity of choice. To shop at AmazonSmile, go to smile.amazon.com and start your shopping as you normally would. It is recommended that you bookmark smile.amazon.com for easy access. When you shop at smile.amazon.com, you’ll find the exact same low prices, vast selection and convenient shopping experience as Amazon.com, with the added bonus that Amazon will donate 0.5% of the price of your eligible AmazonSmile purchases to Humane Society of Rome. Your support will make an impact for the dogs and cats at the shelter. Support the Humane Society of Rome by shopping at smile.amazon.com. Every purchase, every dollar makes a difference! What is better than an excuse to go out to dinner and have a portion of your meal support the local shelter? 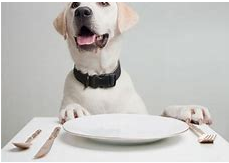 Restaurants have realized they can make a difference by hosting a Dining for Dogs event and donating a percentage of their revenue to a local charity. The Humane Society of Rome has partnered with local restaurants in Rome and the surrounding area that will donate a portion of the revenue from the dinners that evening to the shelter. Check out our Facebook page or the website’s Events page for upcoming dinners and save the date! 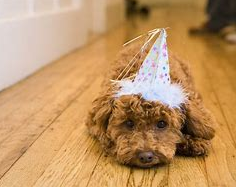 What is a better way to give back than donating your special day to the animals? Contact the shelter to find out what their current wish list items are, and share that with your party goers! 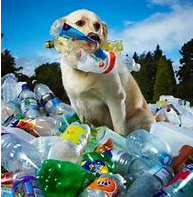 Help the environment and the shelter by donating your cans and bottles. Check with your local recycle dispensary to see if they have a fund set up for the shelter. You can also contact your shelter to see if they are accepting donations on site and drop them off. Even better, visit the cats and dogs when you drop off your cans and bottles as you might meet your new forever friend! A little loose change can go a long way! 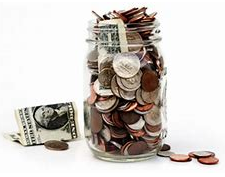 Set up an old mason jar in an area that is highly visible in your home to allow for easy access to put in your loose change. If you want to take it to the next level, have a friendly competition with family or friends to see who can fill up their jar the fastest. To stay true to your cause, go to the website to print out an adoptable pet to provide a constant reminder on why you are donating your loose change. There are many ways to give back to a charity that is near and dear to your heart! The above are just a few ideas to try this year. And, as always, thank you! !